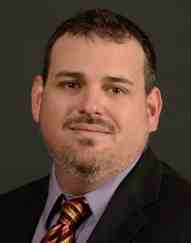 Dr. Todd A. Curry is an Assistant Professor of Political Science at University of Texas at El Paso. He recieved his Ph.D. from Western Michigan University in Kalamazoo, Michigan. Originally from Naples, Florida, Dr. Curry also holds a Bachelor of Arts and a Master of Arts from the University of Central Florida. His primary area of research examines the methods of selection and retention used to staff State Courts of Last Resort in the United States. Specifically, Dr. Curry examines if the various methods of selection have predictable effects on judicial tenure, decisional out-put and the representative function of State Supreme Court justices. Furthermore, he is working on an extended project that examines how Indigenous Peoples fare before courts. Property of Todd A. Curry. Ask for permission to use content within.